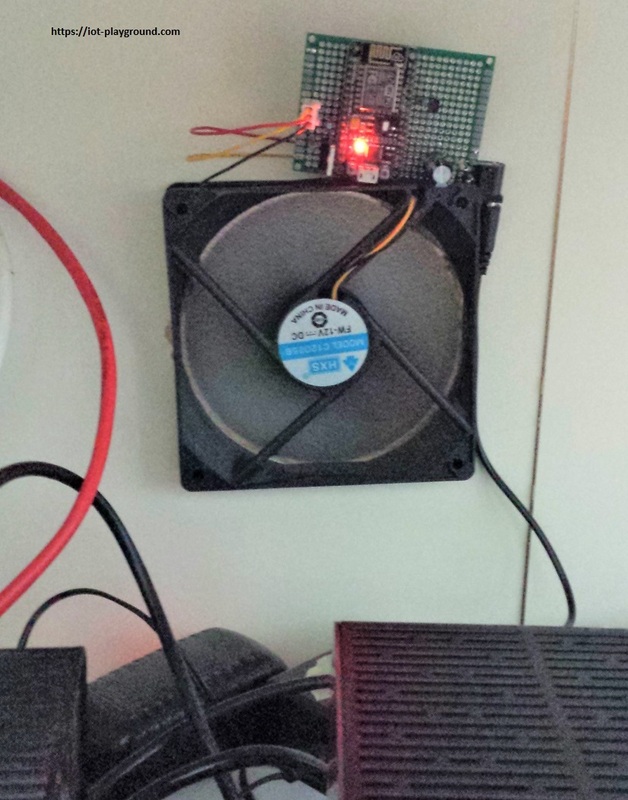 Learn how to build a Wi-Fi-capable fan controller. For this project, we'll use EasyIoT Cloud and assorted hardware to build a temperature-sensing fan. 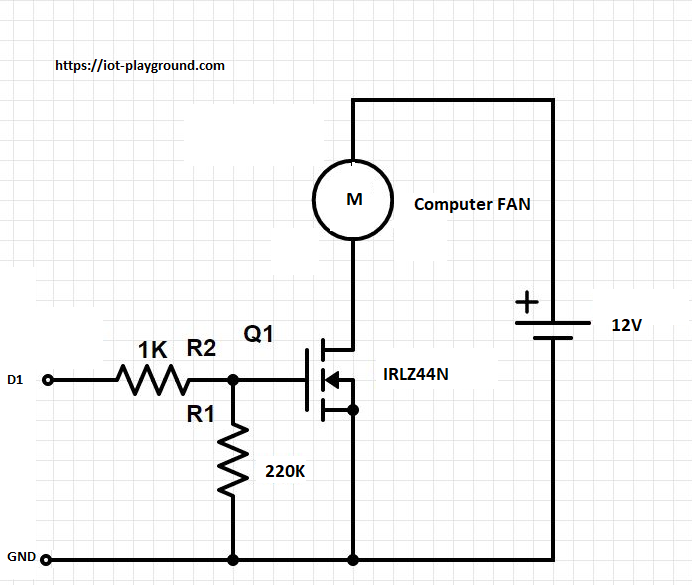 In this tutorial, we will show how to build Wi-Fi fan controller. 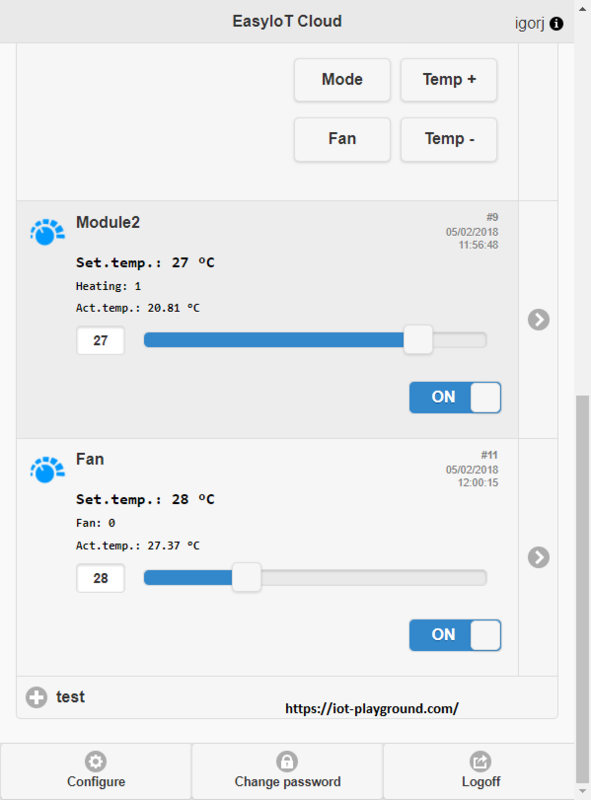 The fan controller is connected to the internet and EasyIoT Cloud over Wi-Fi. For this purpose, we will use an ESP8266. The controller can monitor temperature and, in case the temperature increases, power on the fan. For simplicity, we will use ESP8266 NODE MCU, but you can use any other type of ESP8266. 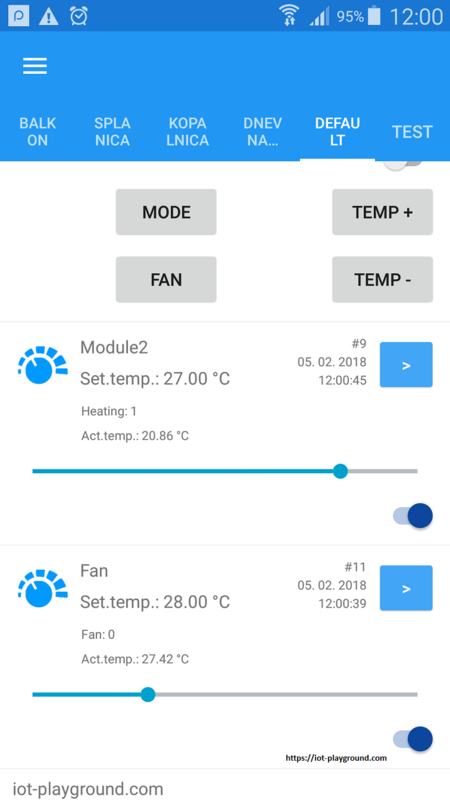 ESP8266 uses a 3.3V power supply and 12V computer fan. 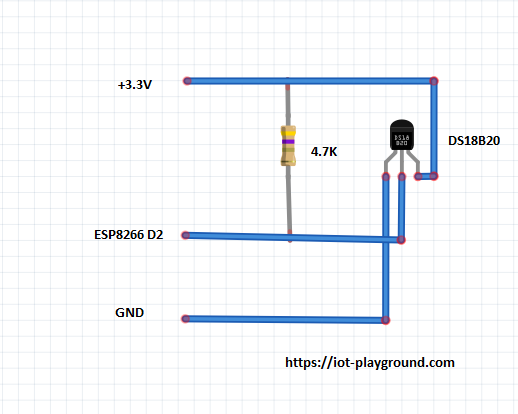 In our case, we will use 12V power supply and add an additional 3.3V AMS1117 regulator to step down the voltage to 3.3 V.
We connect the GND and the 3.3V output of the regulator to the ESP8266 GND and 3.3V pin. DS18B20 is powered by 3.3V, and the digital output is connected to the ESP8266 D2 pin. We also use a 4.7K pull up resistor. The computer fan is powered by 12V AC. There are 3- and 4-pin connection versions. 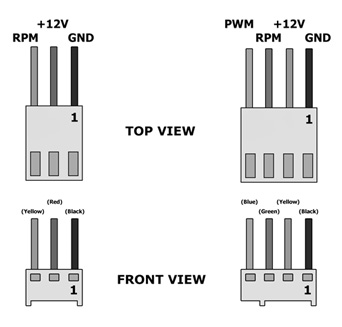 In our case, we will use only 2 pins — GND and 12V VCC. The fan is controlled by a MOSFET IRLZ44N connected to the ESP8266 D1 pin. Additional libraries are here: lib. The ESP8266 source code can be found on GitHub. Upload the program with ESP8266 Arduino IDE. After you enter the correct data, press the submit button and the ESP8266 will restart with the new settings. No manual configuration is needed. The program will automatically add the new module to EasyIoT Cloud. 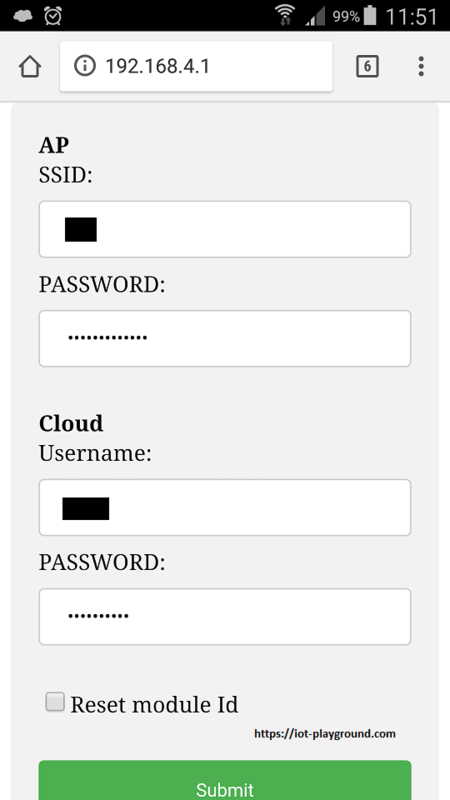 First, you need to register to EasyIoT Cloud. Honey, I Instrumented the Kids With InfluxDB!